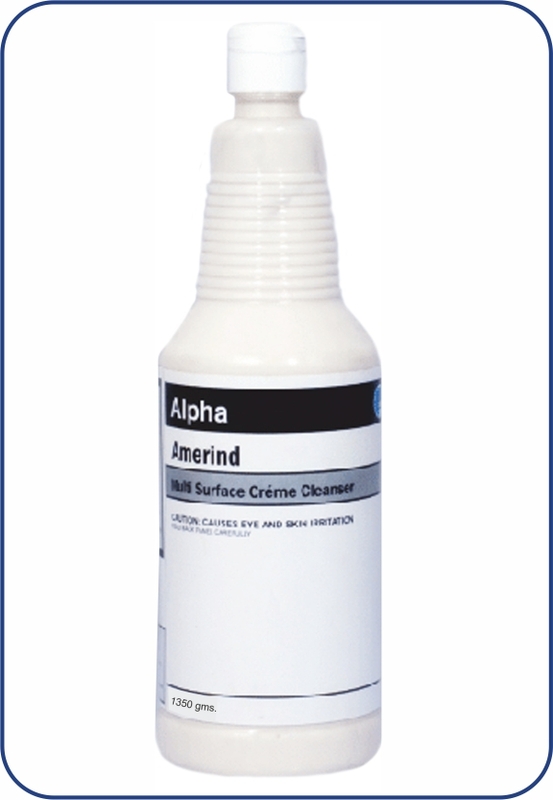 AMERIND is a tailor made multi surface crème cleanser that removes hard water, soap scum, mildew stains from taps, tiles, showers, steel fixtures, bath tub and other areas without scratching. It cleans vertical surfaces and rinses freely leaving the surface clean bright and shiny. It has a mild acidic formula and has a pleasant fragrance. It can be used on porcelain, ceramic, chrome, stainless steel, copper bottom vessels, formica in wash room, kitchen and other areas.